I’m loving the coupon deal going on at Walgreens this week!! Garnier hair care is on sale 2/$6 at Wags. 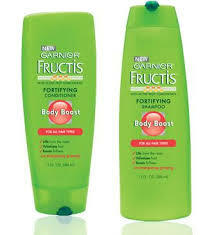 Use this printable $1 off (1) Garnier Fructis Shampoo, conditioner or treatment coupon to score this great deal!